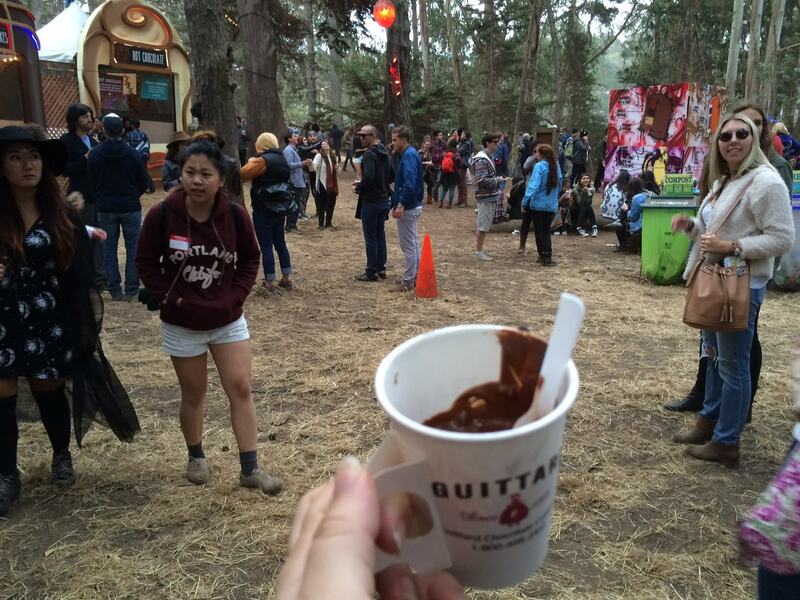 If you’re going to a music festival this year, you’re bound to be wowed by the insanely diverse range of high-end food and big-name chefs you’ll find at events like Coachella, Lollapalooza, Bonnaroo, Austin City Limits and Outside Lands. These food curators will come together for the first time via the live-streamed L.A.-based KitchenParty Hangout to discuss this year’s music festival food trends and all the exciting new options. Few things go better together than great music and great food, and these festivals are raising the culinary bar to a whole new level. 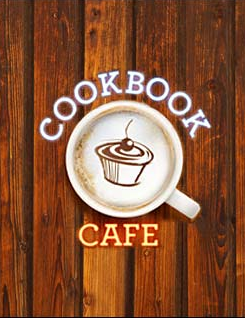 From gourmet pizza to multi-course meals, there’s something for everyone. 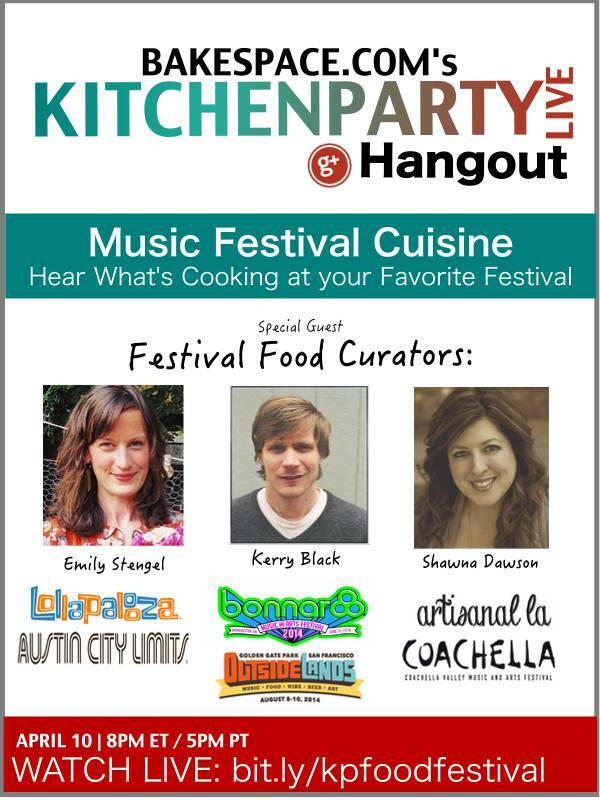 Join KitchenParty live today (April 10th) as we chat with food curators from these three major festivals. We’ll discuss all the exciting food options and the challenges of feeding so many hungry music fans. Bookmark this page and head back when the show goes live at 5pm PT/8pm ET. The live video will play in the video player above. WATCH LATER: Can’t make the live show? Bookmark this page and our show will be archived here. Subscribe to us on G+ and on Youtube for show updates! Check out more info on what food is being offered at the events! Next Story → Pesto, Parmesan and Prosciutto Pinwheels, OH MY! w/ Aida Mollenkamp!